The BusXpert Logic Adapter serializes and transmits 24 logic signals to a BusXpert analyzer, enabling capture of both logic signals and serial data simultaneously. The BusXpert Software displays the captured logic signals and serial protocol side-by-side, making it easy to view the timing relationship between them. 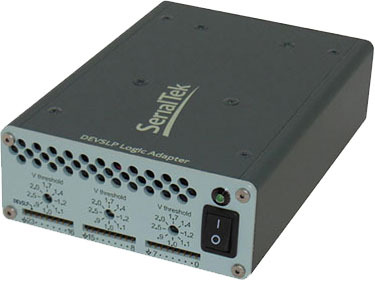 The Logic Adapter transmits the serialized logic to the analyzer initiator port via a standard SATA cable, or to the target port via a SATA crossover cable. The BusXpert Analyzer can trigger on any combination of logic and/or serial data.